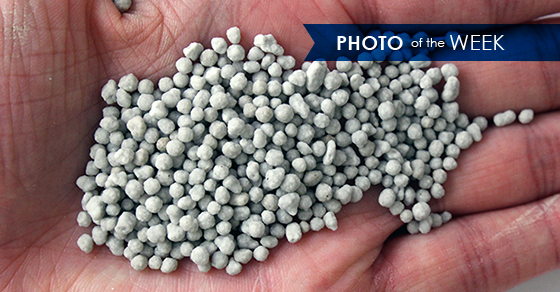 This week’s photo illustrates ammonium sulfate granules. FEECO offers comprehensive process solutions for the production of ammonium sulfate using a pipe reactor, a process which produces a premium, round granule. How does granulation with a pipe reactor work? The pipe reactor is integrated into the granulation drum. Sulfuric acid is fed into one side of the reactor, and gaseous or liquid ammonia is fed into the reaction chamber. This results in an ammonium sulfate “hot” melt. The superheated material is fed into the tumbling drum, and is combined with the captured reaction heat to from and solidify the granules. The product then moves on to a rotary dryer for drying, followed by a rotary cooler. Finally, any undersize and oversize granules are screened out and crushed to be used as recycle in the process. 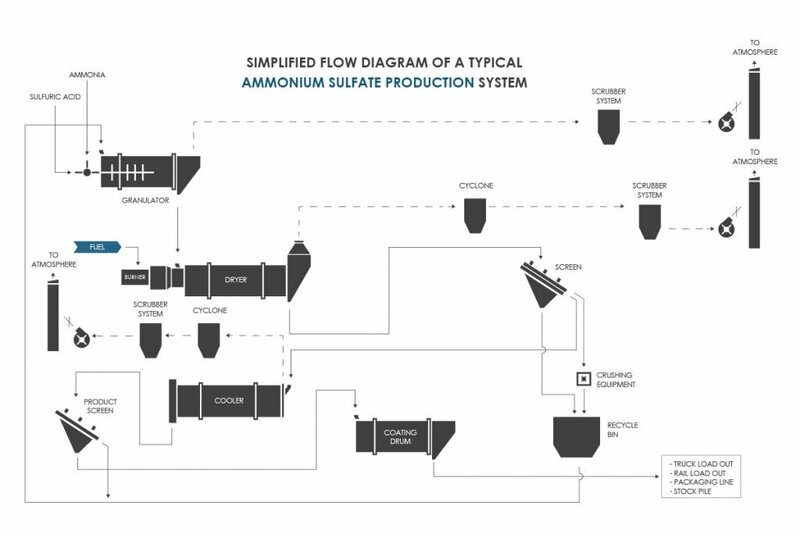 A flow diagram of a typical ammonium sulfate production system is below. The pipe reactor method of granulation is often selected over the compaction granulation technique because the round shaped product it produces results in less dust than that of a jagged granule. Additionally, a round product provides improved breakdown on application, while still maintaining enough strength to withstand handling and transportation. When it comes to Ammonium Sulfate Production , FEECO has you covered. Contact our team today and learn more.